Cameroonian football legend, Samuel Eto’o has again criticized Pep Guardiola, his former boss at Barcelona over how he was treated at Camp Nou. The 38-year-old who plays as a striker for Qatar SC, spent five years at Barcelona from 2004-09, with Guardiola taking full control of the Catalan giants in Eto’s final season of 2008/09. The former Inter Milan striker scored 94 goals in 147 games for Barça in the four seasons before Guardiola’s arrival, who led them to La Liga and Champions League double in 2008/09. Eto was later sold to Inter Milan as part of the deal that brought Zlatan Ibrahimovic to Camp Nou, and paving way for Lionel Messi. 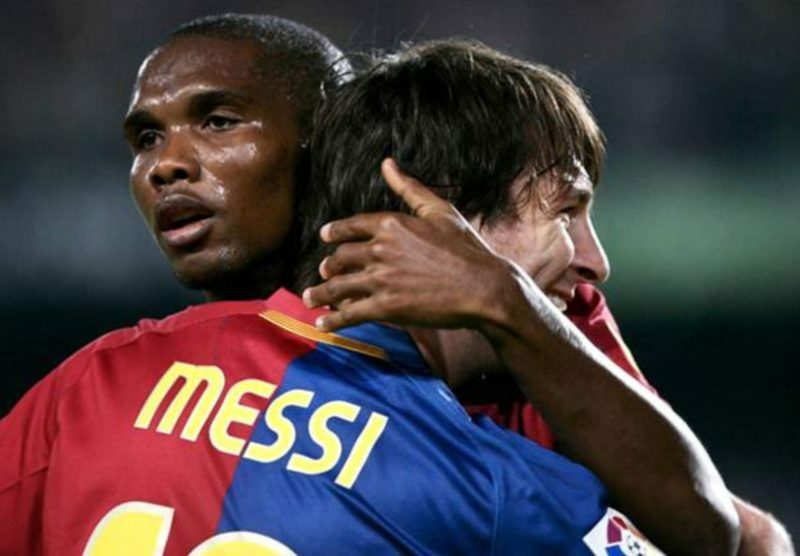 Speaking with beIN SPORTS in a recent interview, Eto’o believes Guardiola treated him poorly and claimed he was the one behind Barcelona’s dominant campaign and not Messi. “Pep has lived his whole life in Barcelona, but in the years I spent in Barça, he didn’t understand the team,” Eto’o told beIN SPORTS. “He didn’t live the life of our team. “I said to Guardiola, ‘You’ll apologise to me, because it’s me that will make Barça win, not Messi’. “Messi would come later but you can ask Xavi, Andres Iniesta and all the others – that was my era.